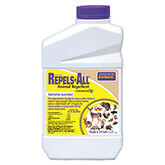 Remove any and all debris to ensure there are no areas of ideal habitat. If there are wood piles, debris piles, tall grass, weeds or any unnecessary vegetation, it should be cut down or removed. The idea here is to eliminate places where ticks can lay in wait for a host. If the area or yard is fenced, repair holes to prevent wild animals from running through the yard. 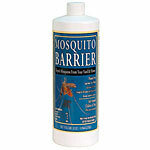 If possible, create barriers to eliminate wildlife traffic that are bringing in and dropping fleas or acting as hosts. If the customer puts salt licks, bird feeders, food for feral animals (cats, dogs, etc.) or anything attractive to animals in the yard, it should be removed. 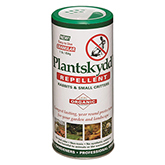 If the tick-carrying culprit is unknown or full removal of habitat is impractical, try using Plantskydd or Bonide Repels-All to keep mammals away. 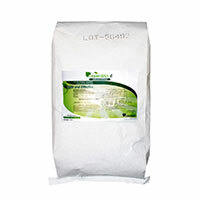 Create a swath barrier around the desired treatment area with Essentria G. It is recommended as a perimeter treatment and works well against ticks. Use caution when using Essentria around food crops as the essential oils can be absorbed and affect harvest flavor. 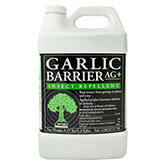 If granular repellents are unsuitable, use a spray repellent like Garlic Barrier AG+. 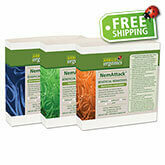 Apply the combo pack of Sf/Hb Beneficial Nematodes early in the season. 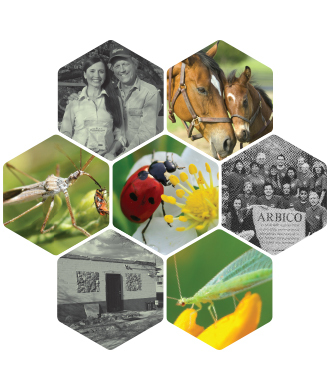 Repeat applications periodically through the year while ticks remain active. 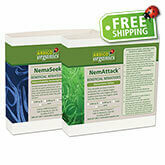 Nematodes target engorged females, preventing further egg-laying in the area. Once a majority of females are killed, what is left are the seed ticks. These are freshly hatched ticks that move towards the top of plants and wait for a blood meal. 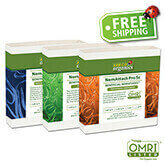 This is the point where insecticidal treatments are most helpful. 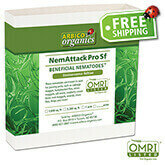 Following up nematode treatments with insecticidal sprays (Garlic Barrier AG+, Mosquito Barrier) helps further reduce tick populations by killing on contact. 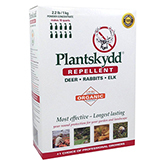 The botanical oil bases smother ticks and provide lasting repellent action on plant foliage that may harbor seed or adult ticks. Make applications to the entire yard and reapply a week later. 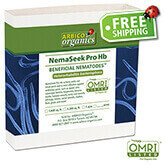 Three-week spray intervals are recommended for continuous control throughout the tick season. Additional tick control options can be found below. 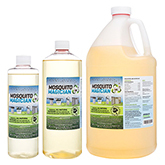 If you have questions about product selection, best practices or other pest control inquiries, please call us at 1-800-827-2847.